Joanne Rocklin's I SAY SHEHECHIYANU is now out in the world from Kar-Ben Publishing! It's the celebratory story of the Jewish blessing for expressing thanks when something takes place for the first time or when it happens again after a long time. What a beautiful premise, right? Check it out! Congratulations on its release, Joanne! K. A. Holt's RHYME SCHEMER released back in October, but that hasn't stopped the starred reviews from rolling in! Library Media Connection says SCHEMER is "a free verse novel that librarians and students will love" and "Holt has delivered a delightful story with just the right amount of boy language, wonderful free verse poetry, and underlying messages". Great and well-deserved praise, Kari! Congratulations! Third Time's the Charm for Gladys Gatsby! Even better news? You will be able to read the utterly charming sequel, THE STARS OF SUMMER, in just a few short months—it's out on May 5th, and you can preorder your copy right now by clicking HERE! Hooray and congratulations, dear Tara! Get Ready for Some New MG from Anne Nesbet! You all know Anne Nesbet, right? The author of the breathtakingly gorgeous novels THE CABINET OF EARTHS and A BOX OF GARGOYLES, as well as the soon-coming THE WRINKLED CROWN? I'm sure you all do—but if you don't, trust me. These novels will fill some place inside you didn't even know was empty. When Anne first approached me about representation (the above books are pre-EMLA), she came my way with a brand new work-in-progress—something completely different from her published novels. But oh, was it stunning! Instead of magical realism in a contemporary world, Anne's newest novel is a work of historical fiction—a character-rich story of twists and turns, spies and lies, and a young boy (and his astonishing stutter) caught up in the midst of some pretty extraordinary circumstances. I like to think of it as Rebecca Stead meets John Le Carre. Set in 1989, CLOUD & WALLFISH is the story of a boy whose ordinary life comes apart when his parents whisk him away to a new home behind the "Iron Curtain" in East Berlin, where he finds himself in a whole new world—filled with all kinds of dangers he can't even begin to imagine. But the biggest dangers of all might just be the ones closest to hand. Needless to say, this book was met with a flurry of enthusiasm, and ended up selling at auction to the wonderful Kaylan Adair at Candlewick Press. Even better? It sold in a two-book deal, so let's give Anne a double-sized cheer, shall we? Fans of Jennifer A. Nielsen have been looking forward to this day for months. The first book in her newest series, Praetor War, is out! MARK OF THE THIEF is already receiving starred reviews including one from Kirkus, who praises "the fast-paced, ingenious plot, charismatic hero and highly diverse cast of characters—including the ancient, eternal city itself—make this series opener a captivating joy ride". Welcome to the world, THIEF! Congratulations, Jen!! 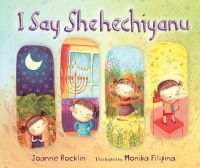 Check out the beautiful cover for Joanne Rocklin's I SAY SHEHECHIYANU! The illustrator, Monika Filipina, celebrates the seasons in a pastel glory. We love it! It's the perfect way to teach children about "Shehechiyanu," the Jewish blessing for expressing thanks when something takes place for the first time or when it happens again after a long time. Look for the book from Kar-Ben Publishing on March 1st. Congratulations, Joanne! Elizabeth Van Steenwyk is the author more than 70 (!!!!!) books for young people, and I am so pleased to announce her latest—a project we've batted around for a long time that finally found its form, and its publisher as well! NIGHT TRAIN TO BALTIMORE: THE KATE WARNE STORY gives picture book readers a glimpse into the career of America's first female detective—and in particular portrays events in which she contributed to stopping an early assassination attempt against Abraham Lincoln. Kate Warne worked for the Pinkerton Detective Agency, which eventually became the Secret Service, doing the kinds of things that nobody thought women could do at the time. We hope her story will inspire lots of children to think outside the box. Wendy McClure at Whitman has signed this book for the spring 2016 (!) list, and we can't wait to see it on shelves. Congratulations, Elizabeth! That Dashka Slater is one versatile writer! She's working on a middle-grade novel; she's published picture books and adult fiction; she writes for the New York Times Magazine and is an award-winning journalist; and now she's going to be a published YA author as well! It all started with a piece that came out in the NYT Magazine late in January, "The Fire on the 57 Bus in Oakland." Dashka had always had in mind to tell this story for teens at some point—and how could she not, given that the story is about two teenagers, one African American and one agender, who are on opposite sides of an alleged hate crime? It's as though everything we are most talking about regarding teenagers today is encapsulated in one story, and it's very nuanced, full of context and the realities of what it's like to be a teen (and particularly one who is invisible to many people). This is a story that provides lots of windows and lots of mirrors, in the lingo of the diversity movement. We had recently sold a picture book of Dashka's to Joy Peskin at Farrar, Straus, and Giroux, and Joy and Dashka had loved revising together. This NYT Magazine piece of Dashka's was exactly in Joy's wheelhouse—touching on everything she's passionate about as an editor. When the article came out, Dashka told me this was the one she had in mind to develop for teens someday, but of course she wasn't anywhere close to producing a proposal or anything. No matter. Within 24 hours of the article going live, Joy had reached out to see if Dashka had ever considered writing a YA project about or inspired by the story. Just a few short days later (even with ALA happening in that time, and Joy and her team stuck in Chicago in a snowstorm), based entirely on the article, we had an offer. THE 57 BUS is slated to release in fall 2017. Huge congratulations, Dashka! Cynthia Levinson's WE'VE GOT A JOB: THE 1963 BIRMINGHAM'S CHILDREN MARCH is now out in paperback! That's right, this four-time star reviewed book chronicles the little-known story of the 4,000 black elementary-, middle-, and high school students who voluntarily went to jail and succeeded where adults had failed in desegregating one of the most racially violent cities in America. Check it out! Congratulations, Cynthia! HOOD Has a New Look! 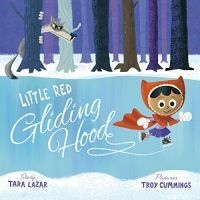 Hop on over to Tara Lazar's blog and help her celebrate the cover reveal of LITTLE RED GLIDING HOOD! Her latest picture book, illustrated by the ultra-talented Troy Cummings, is sure to have you skating about this October. Congratulations, Tara! ALL THROUGH MY... Board Book! 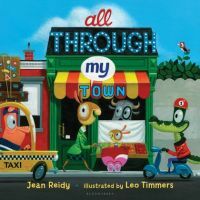 As of today you can purchase Jean Reidy's lovely ALL THROUGH MY TOWN as a board book! Trust us, books don't get cuter than this one all bundled up in a sturdy, miniature package. We love it! Congratulations, Jean! What a great day for LOONEY! Check out the cover of Luke Reynolds' latest book, THE LOONEY EXPERIMENT. The main character, Atticus, has an out-of-control imagination and is one middle grader you won't want to miss reading about. Watch for it in August. Congratulations, Luke! JOHN ROY LYNCH Gets a Starred Review! 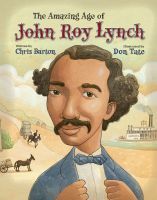 The second review is in for Chris Barton's THE AMAZING AGE OF JOHN ROY LYNCH and it's starred! Publisher's Weekly says "Barton offers an immersive, engaging, and unflinching portrait of the difficulties of the Reconstruction era, while Tate's cartoonlike artwork softens moments of cruelty and prejudice without diminishing them". What a way to celebrate today's political holiday. 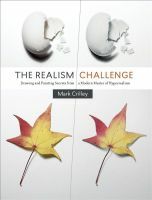 Watch for this book the first of April. Congratulations, Chris and illustrator Don Tate! Barton's Christmas NUTCRACKER Gets a Cover for Valentines Day! Happy Valentine's Day! We're celebrating the holiday by thinking ahead to Christmas. 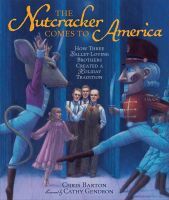 Who can blame us when we've just seen the jacket for Chris Barton's latest picture book, THE NUTCRACKER COMES TO AMERICA: HOW THREE BALLET-LOVING BROTHERS CREATED A HOLIDAY TRADITION? Isn't it exciting?! We love the dream-like quality of the illustrations by Cathy Gendron. Look for this title in the fall. Congratulations, Chris! Is It a Bird? Is It a Plane? No... it's Mike Jung's UNIDENTIFIED SUBURBAN OBJECT! Anyone who's had the pleasure of interacting with Mike Jung online knows that he's about as genuine and real as they come.—And those who have read his debut novel, GEEKS, GIRLS, AND SECRET IDENTITIES, also know that every bit of that translates onto the printed page. If you haven't yet read his first book, what are you waiting for? Equal parts funny, action-packed, and heart-tugging, this is a story you don't want to miss. And because the world Needs More Mike Jung, I am thrilled today to herald a book deal for his amazing new middle-grade novel: UNIDENTIFIED SUBURBAN OBJECT is the story of a 12-year-old Korean-American girl living in a community lacking racial diversity who becomes interested in exploring her heritage. When she does so, however, she is shocked to discover her parents did not, in fact, emigrate from Korea as she'd thought. Instead? They immigrated from another galaxy. The novel was acquired again by Arthur Levine at Arthur A. Levine Books, and you can look for it on shelves in 2016. Join me in a huge round of applause for our own dear Mike! Tom Crosshill's Breaks Out with SALSA! It is always a special day when you get to announce an author's debut book deal, and especially when that deal has such an awesome title as this one: SALSA FOR FIDEL (OR, A BEGINNER'S GUIDE TO CAT VIDEOS). ...I mean, aren't you already hooked? I certainly was, from the moment I first sat down to read Tom Crosshill's amazing manuscript—and you'll be happy to know, it gets even better as it goes along. SALSA FOR FIDEL follows the story of Rick Gutierrez, avowed nerd and self-styled Cat King of the Internet, who spontaneously decides to travel to Cuba for a summer of learning salsa and reconnecting with his mother's roots. He's determinedly not doing any of this to impress Ana Cabrera, his just-out-of-reach dance partner. When Rick and Ana get to Cuba, however, they quickly discover that there is a lot more to the country than they first suspected—and the greatest danger may lie where they least expect it. Told with inimitable style and wit, this coming of age story is absolutely unforgettable—and I'm thrilled to share today the exciting news that Tom Crosshill's SALSA FOR FIDEL has been acquired by Ben Rosenthal at Katherine Tegen Books/Harper Collins. Hooray and huge congratulations, Tom! It's blue! It's black! It's as big as a house! What's blue, black, and full of poetic goodness? K. A. Holt's next book! Check out the awesome cover. The design compliments her previous book, RHYME SCHEMER, perfectly. Look for this novel-in-verse later this year! Congratulations, Kari! FISH IN A TREE is out! Here it is! The day Lynda Mullaly Hunt's second novel makes its debut into the world! FISH IN A TREE has already received two starred reviews and tons more praise besides. So what are you waiting for? Pick up your copy today! Trust us--you'll want to find out why a character like Ally is changing reader's lives for the better! Congratulations, Lynda! A Starred Review for WHEREVER YOU GO! We love it when reviewers agree with us! 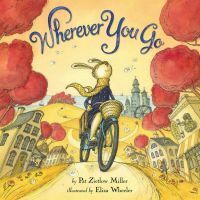 A *starred* review from Kirkus calls Pat Zietlow Miller's WHEREVER YOU GO a picture book that will make "children, thanks to captivating artwork and rhyme... want nothing more than to ride his handlebars, bouncing and merry." They praise that "Miller's verse, infused with musical momentum, communicates the emotional arch of a journey with beautiful brevity". Look for this title the beginning of May. Congratulations, Pat! Jennifer's SANCTUARY gets a fitting and beautiful cover! We're in *love* with Jennifer McKissack's SANCTUARY cover! Isn't it gorgeous? Moody and mysterious as well as textured! Watch for this title in the upcoming Scholastic catalogs! Congratulations, Jennifer! There's MORE Mastering Manga to Come from Mark Crilley! Manga lovers, rejoice! We've got some terrific news for you today. Mark Crilley has built up quite a following on YouTube, where his channel of weekly art classes has reached an incredible 1.9 million subscribers! His first art instruction book, MASTERING MANGA, remains a hugely popular staple of art stores everywhere, and was followed up last year by the exciting sequel, MASTERING MANGA: LEVEL UP. Today we're thrilled to announce that Mark has closed a deal to publish a third MASTERING MANGA volume, incorporating all-new tips and techniques to make your manga characters pop off the page! The new book was signed on by Mona Clough at F+W Media, and was part of a two-book deal. So be on the lookout for many more exciting and artsy things soon to come! 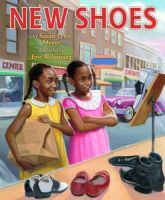 Happy release day to Susan Meyer and her fabulous picture book, NEW SHOES! It tells the story of two young girls in the civil rights era finding inventive ways to overcome Jim Crow laws. We're so happy this one is out in the world. Congratulations, Susan!